Chitosan is extracted from the shells of shrimp, lobster, and crabs.It is a fibrous substance that might block absorption of dietary fat and cholesterol. 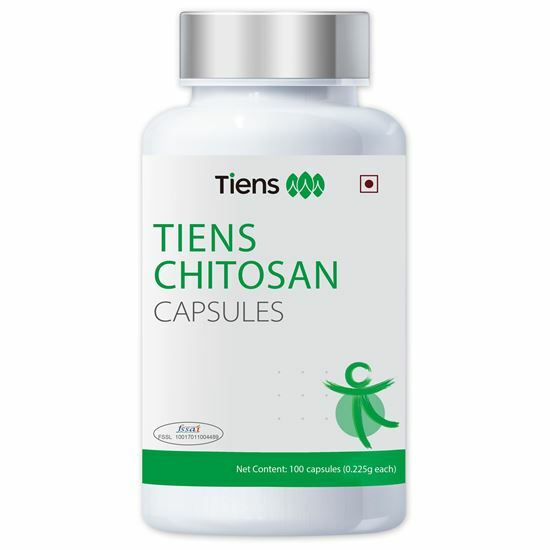 Chitosan exhibit a variety of biological activities including antioxidant, hypocholesterolemic, antimicrobial, immune-stimulating, and anti-inflammatory activities. Chitosan is a great source of fiber that immensely helps one lose weight because of its high content of the insoluble fiber. Chitosan is used to avoid obesity, high cholesterol. It is also used to provide remedy for issues in people with renal failure, including high cholesterol, "tired blood" (anemia), loss of strength and appetite, high phosphorous levels (hyperphosphatemia), and trouble sleeping (insomnia). Diabetics, people with poor digestion. People with high lipid, and cardiovascular problems. Use warm water, 2 Capsules twice a day, before food.